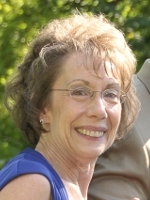 GUILDERLAND – Carol (VanDenberg) Cleveland, 62, of Guilderland, passed away on Wednesday, January 7, 2015 after a long and courageous battle with lung cancer. Carol was born in Albany, and lived in the area all her life. She was a graduate of Guilderland High School, a social member of the North Bethlehem Fire Dept., and a member of the Christ Lutheran Church. 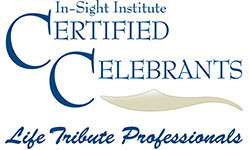 She was president of 4 Star Electric, and later was employed by Guilderland Vision Care and Capital Region Retina. Carol is survived by her daughter Kimberly Mullin (Christian) of Guilderland; her stepdaughters Cristina Scheid (David) of Delmar, and Jill Campbell (Robert) of Syracuse; her sister Paulette Barlette (Richard) of Latham; her grandchildren Andrew, Callian, and Jack Mullin, Carly and Riley Scheid, and Tyler and Ryan Campbell; and her Aunt Rita VanDenberg and cousin Rita Ann (VanDenberg) Budwey (Michael). She was predeceased by her parents Harry and Margaret Keneston VanDenberg. Funeral services will be held in the Hans Funeral Home, 1088 Western Ave., Albany, Monday morning at 10:00am. Relatives and friends are invited, and may call at the funeral home Sunday from 3-7 pm. Interment will be in Albany Rural Cemetery, Menands. The family suggests memorial contributions to the American Cancer Society, 1 Penny Lane, Latham, NY 12110; or to The Community Hospice, 295 Valley View Blvd, Rensselaer, NY 12144. To leave a message of condolence for the family or obtain directions to the funeral home, please visit www.HansFuneralHome.com. Click here to view the location of Carol’s resting place in Albany Rural Cemetery, Menands, New York. Filed Under: Obituary Tagged With: 4 Star Electric, Albany, Albany Rural Cemetery, Capital Region Retina, Christ Lutheran Church, Guilderland, Guilderland High School, Guilderland Vision Care, Hans Funeral Home, North Bethlehem Fire Dept. Sorry for your loss. Our prays and thoughts are with you all. So sorry to read about your mother in Sunday’s paper. Our thoughts are with you, Andrew and family. God bless your mom. Kim,Chris and Andrew please know you are in our prayers. We’re so sorry for the loss of your mom and grandma.